Do You Ever Feel Like You Can’t Get Ahead? • 83% of Americans polled said they had no money left for retirement, or even vacation, after paying their monthly bills. • 49% of Americans have said that it doesn’t matter how hard they work, they feel like they’ll never get ahead. 1. No matter how much you earn, you can’t seem to save any money? 2. You have difficulty making sound financial decisions? 3. Managing your money has never been easy? 4. You’re struggling to reach financial goals or may not even have goals set? 5. The thought of dealing with or managing money scares you? 6. You feel like shutting down when it comes to anything having to do with your money? 7. You often feel overwhelmed, lost or confused when it comes to money? You are not alone in your financial frustration! Life can present all sorts of financial challenges. From getting a job, getting laid off, getting married, getting divorced, buying a house, having children, saving for school, to saving for retirement; lots of things can throw us off track. Americans’ retirement plans have lost as much as $2 trillion since July 2007 according to the Congressional Budget Office. It’s not uncommon to feel isolated and alone when it comes to money. Conflicts over money affect 70% of married couples, according to Money Magazine. Money and communication continues to be the main cause of divorce. Feelings of guilt, fear and isolation surrounding money drain most people and they never get to experience the joy of financial confidence and competence. What makes it more challenging is that many employers today are not recruiting people who have bad credit or financial stress. “Employees with personal money problems are like sharks in the workplace taking bites out of employers’ bottom line,” Thomas Garman, PHD. How would it feel to be completely financially free? How would you feel if you could stretch your paycheck, reduce your debts, ease conflicts over money, avoid financial traps and master investment basics? Once you decide today to make a change, you’ll feel the power and confidence to make a positive impact in your family’s life. To achieve prosperity and wealth, you have to change the way you think about money. Thoughts lead to actions and actions lead to results. Chances are that you were never taught the success principles of personal finance. By having a Money Coach, you can learn these principles and have someone help you implement them in your life. Money Coaching gives people an unbiased resource for financial questions throughout their lives. It focuses on understanding practical steps of personal finance, explaining attitudes, decisions and beliefs holding you back as well as teaching you how to make a financial difference in people’s lives. Financial success is simpler that most people think. • It doesn’t take much time to get educated: A few minutes a week will get you started. • It doesn’t take much money to begin to create wealth: You can learn to do it using your current income. • It’s never too late to get started: You will get better results by starting today. Your coach will work with you to create a plan to achieve prosperity and wealth. 1. Financial Communication – The primary breakdown in our financial lives begins with poor communication. We explore communication, social styles and why we fight about money. 2. Cash & Debt Management – Saving for emergencies and purchases is vital. We will explore debt strategies to help you get out of debt in record time as well as strategies to help you get your credit on the right track. 3. Investment Planning – It’s not Greek or Latin, but there are a lot of Greek and Latin words. We’ll explore investment terminology and understanding along with investment strategies and why most people lose money in the long term. 4. Retirement Planning – Retire when? We’ll help make retirement planning easy. You’ll be motivated to set retirement goals and stick to them. Live life the way you choose. 5. Education Funding – Whether it’s for you, your children or grandchildren, the education landscape is changing rapidly and paying for it is becoming more challenging. We’ll study ways to ensure that an education can be paid for and implications of choices we make. 6. Income Tax Management – As the largest expense most Americans have, taxes can drain us dry. We teach tax strategies to help keep on track as well as tips and hints that the wealthy have used for years to gain tax favor. 7. Employee Benefits – Quickly becoming one of the main reasons why we choose a company to work for, benefits are easy to misunderstand. We’ll simplify the process of determining which benefits to choose and what they mean to you. 8. Risk Management – A.K.A. Insurance – Most people won’t ask an insurance agent questions for fear of being sold something. We’ll demystify the various types of insurances, how they work and what you will and won’t need. 9. Estate Planning – “A good person leaves an inheritance for their children’s children, but a sinner’s wealth is stored up for the righteous.” Proverbs 13:22 We all leave an inheritance when we die; positive or negative. Be remembered for generations to come. 10. Small Business Planning – 85% of small businesses fail in the first 5 years. 85% of those that are left fail within the first 10 years. 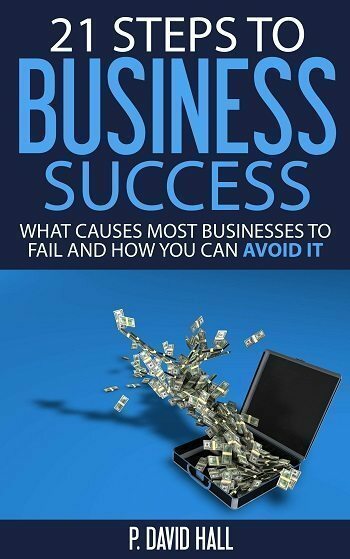 We’ll explore small business success and failures and the why’s behind them. 11. Life Transition Planning – As we get to certain milestones in our lives, transitioning smoothly is of utmost importance. Whether it’s sending the children to college, retiring from work, getting Medicare or any other transition, we’ll look at ways to handle these transitions with confidence. Don’t just take our word for it…Listen to what Howard has to say.